Sterlite Tech, an end-to-end global technology leader in smarter digital networks, has launched a high-speed 5G ready network solution named FlashFWD at India Mobile Congress (IMC) 2017, being held in New Delhi, India. Globally, as data consumption continues to grow exponentially, there is a need for new, dense networks that enable extremely high data speeds and low response times. 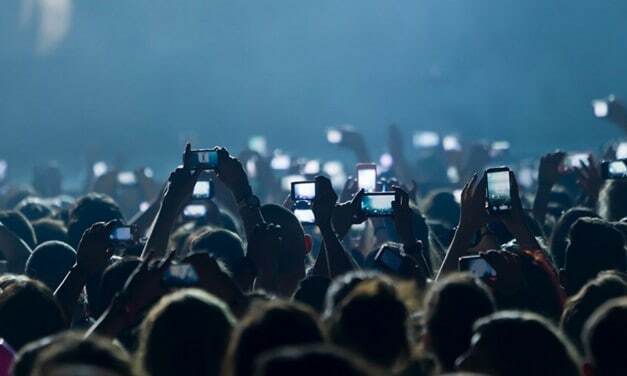 5G is expected to generate about eight times more data traffic than an average 4G connection, with 15 per cent global population expected to have 5G subscriptions by 2021-22. In India too, applications such as Aadhar-based e-payments, e-authentication and e-commerce are growing manifold, transforming the everyday living of citizens. Enabling these emerging demand trends, Sterlite Tech today launched its innovative 5G ready network solution FlashFWD which has the highest fibre density in the most compact cable package possible. The solution comes in two variants FlashFWD 864F ribbon cable with six tubes and FlashFWD 1152F ribbon cable with eight tubes – the technology proves to be an outstanding solution for high-growth, high-bandwidth demands of data centres, equipment connections with cabinets and outside plant applications. Sharing the benefits of the new technology, Dr. Badri Gomatam, CTO, Sterlite Tech, said, “Many of our customers across North America, Middle East and India were asking for high fibre counts to transition their network from 3G/4G to 5G. Given the need for extremely high bandwidth and low latency, our technology is disruptive as it moves from loose tube to higher fibre count ribbon cable for 5G networks. With special low-bend sensitivity, the cable provides high bandwidth and the lowest ribbon-cabled fibre loss.” This revolutionary cable category, with over 50 times the capacity of the typical cable deployed in India, is NABL certified and complies with the latest global standards of IEC.60794 series, ANSI/ICEA S-87-640, Telcordia GR-20, ITU-T Recommendations, and is CPR approved for LSZH versions. Sterlite Tech is also showcasing power-packed live demonstrations across two themes during IMC 2017 at its Booth 58, Hall 11. Transforming Cities features integrated smart city simulations with smart environment, clean water, Wi-Fi, video analytics, virtual reality, FTTH 4K demo, IoT and LoRa-based architecture, while Transforming Villages demonstrates key offerings for BharatNet, rural governance kiosks, e-health and e-education. Sterlite Tech Launches 5G Ready Smarter Network Technology at IMC 2017 0 out of 5 based on 0 ratings. 0 user reviews.